Toy Story 4: The movie sequel will release next year. Your favorite toys will be back soon! And this they are gonna make it even grand an appearance! Yes the release dates for the next installment of the franchise, Toy Story 4, has been confirmed from the official sources. The movie will hit the screens on 20th June 2019, just less than a couple of years to wait. Too much, is it not! But for the time being here, we are with all you need to know about the upcoming movie including what to expect and what not, the names involved, and a lot more. But before we move on, let’s backtrack a bit and look out for what history have got to say about the group of toys embarking on different adventures now and then. 5 Will Bonnie Be Back in Toy Story 4? It has already been delayed three times, the latest being scheduled to release on June 20, 2019. The original movie, Toy Story was released in 1995 from a joint effort of Pixar Animation Studios and released by Walt Disney Pictures. Four years later, these guys came up with ToyStory 2 in 1999 followed by the third installment in 2010. When talked about numbers, all three films, produced on a total budget of $320 million, have grossed more than $1.9 billion worldwide. The whole story revolves around a group of toys, unknowingly alive to the humans, who by some or the other way end up in different adventures. This very concept of alive non-living objects is called Anthropomorphism. Did you know that? Even though it’s been seven years now since the announcement of the fourth installment, not much is known about the movie itself. But now, with the announcement of a specific date, it seems that the things are surely speeding up at developers’ den. The original release date was swapped with The Incredibles 2 sequel. One thing is for sure that the movie is going to be directed by Josh Cooley. And the good news is that the favorites characters Lightyear and Woody are gonna be. Is that even a news. I mean was there even a doubt about this fact. Having a TS without this pair would be like buying an ice cream cone without any cream at all. And also back would be Tom Hanks and Tim Allen who played the voice roles of Woody and Buzz respectively. For others, we know that its Joan Cusack as Jessie, Annie Potts as Bo Peep, Bonnie Hunt as Dolly, Laurie Metcalf as Mrs. Davis, Jeff Garlin as Buttercup and so on. With the release date being official, it seems that the project is back on track with a new creative team. Randy Newman will compose the film’s soundtrack. Trixie (Kristen Schaal), Mr. Potato Head (Don Rickles) were announced to return. But, Rickles passed away on April 6, 2017, and he hadn’t recorded dialogues before his death. Then, Patricia Arquette was added to the film cast. In July 2017, Lasseter stepped down as a director due to a busy schedule. But, he said that he would be within the team as executive producer. Then, Cooley was announced as the new director and Jonas Rivera replaced Galyn Susman as producer. Bonnie Hunt will return as Dolly, Jodi Benson as Barbie, and Estelle Harris as Mrs. Potato Head. TS4 won’t be a sequel to the third installment. Instead, it would be a standalone sequel. Josh Cooley has been named as the co-director. In 2015, Lasseter had revealed that the film will revolve around the romance between Woody and Bo Peep. 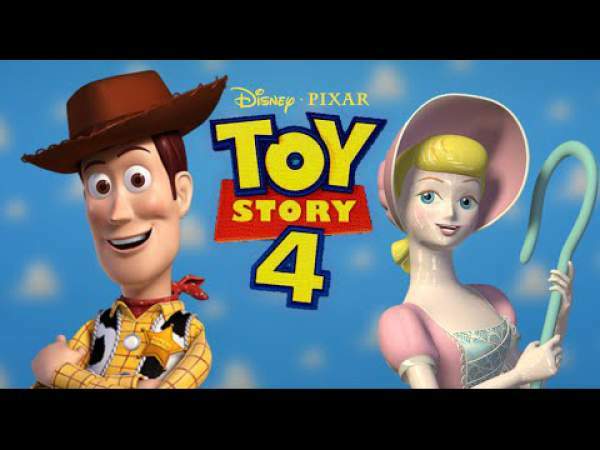 The story will be built on the fact that Bo Peep was absent from the main story in the last series, and Woody and Buzz were trying to find and bring her back. Will Bonnie Be Back in Toy Story 4? Can you recall the adorable little girl who stole the hearts of audiences with her adorableness? Yes, the little girl Bonnie who got all the toys at the end of the movie. So far, we don’t know if she would be back or not. She should return as Woody and Buzz all belong to her now, isn’t it? So, let’s hope we get an even awesome final product this time. So far, which film of the Toy Story franchise do you liked the most?